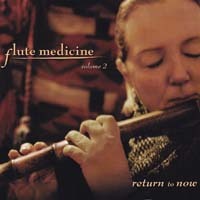 Flutist and composer Cynth committed herself to bringing a new awareness and approach to healing through music. She knows from a life-long practice of meditation and music that renewal begins within ourselves and music is one of the bridges that can take us there. She continued to work as a studio musician in Los Angeles before journeying to San Francisco to play and compose music for the world-acclaimed San Francisco Mime Troupe. From there, Cynth went on to play flute, sax and percussion with numerous pop bands. Her Los Angeles based group High Risk was the first release for the groundbreaking woman’s recording company Olivia Records. 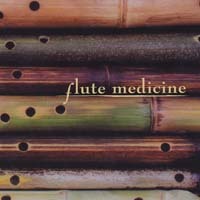 The way Flute Medicine is produced and played gives it a natural healing vibration. The thing I love about this disc is how the flutes are overdubbed, often to the accompaniment of Tibetan bowls and bells, blowing like a clear breeze through the cathedral of the mind. But it's heart-centered music as well, especially on "Pyramid" and "Dream Lodge Dancer." Seven- time Grammy winner Roger Nichols helped out on production and it shows ? even on a simple flute solo. The album, especially on headphones, opens up into an adventure in reverberation and resonance ? a true tonic for the heart and mind. I have a thing for flute music. First it was Carlos Nakai, then it was the soulful Dominic Dean Breaux and now I have a new flautist. Her name is Cynth. 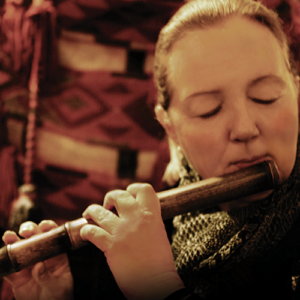 Not only does she play an outstanding flute; she makes her own instruments from bamboo and even plays the percussion that supports her atmospheric forays. This disc feels healing in a tribal Zen kind of way. In an era when almost every recording includes electronic enhancement, this disc is supremely organic. I have brought Cynth's music to the bedside of Hospice patients and have witnessed its effect on them. Her remarkable work touches the emotions, cultivates a peaceful environment and brings a meaningful experience for patients and families in the midst of trying times. I wouldn't be caught in traffic without it! Enchantment straight from a healing heart. I played it at a birth recently and her sounds created an incredible atmosphere for Mom and baby! Christine Stevens, Health & Wellness Director, REMO INC.